“How far would you have walked to gain your high school education? From an early age, the greatest passion in Boitumelo Tumelo’s life is learning. Boi, as she is known to her friends and family, just loves going to school. Her primary school is in the local village, but when she graduates to secondary school, two obstacles stand in the path to her further education. Firstly, there are fees to be paid. Secondly, it is eleven miles to the nearest secondary school. She would have to get up very early, and walk that long distance to school every day, and walk home after school. There are many potential dangers along the remote African track between her village and her school. This is the inspiring story of how Boi overcomes the obstacles and dangers to gain the education that she so desires. Not only does she achieve her ambitions, but she manages to make life better for the children of her village who wish to follow in her footsteps. Open the pages of this book and slip inside the existence of Boitumelo Tumelo, a young girl from Botswana, who leads the reader on an incredible journey from her childhood into adulthood in a world fraught with difficulty and strife. Boi’s life humbled me with her compelling story and the bravery and determination she exhibited to achieve her dreams. Boi is a gifted child who lives in abject poverty. She faces cruelty and stares down social injustices. Food is scarce, and many mornings she begins the laborious eleven-mile walk to school on a breakfast fueled by a crust of bread. Life is not comfortable in her village, and it is a struggle just to survive. Her parents, grandparents, and her older brothers contribute their hard-earned cash to send her and her brother to school. Not only is this considered an honor, but it is also a calling. Boi realizes early, that if she is to succeed in life, she must get an education. Like the proverbial sponge, Boi soaks up one academic challenge after another, and her hard work and determination finally pay off. But it is her commitment to change that grabs the reader. Boi realizes that if she runs the miles to school and back, she will have more time to dedicate to her studies. Her ingenuity is stunning. Boi turns the daily obstacle of the eleven-mile walk to school into an active endeavor. After running twenty-two miles a day, Boi discovers her real gift, that of becoming a long distance runner. I had this book in my “To be read,” pile for quite some time and couldn’t wait to read it. The story did not disappoint. I loved Boi’s story from start to finish, and I enjoyed the cultural elements the story provided. Lance Greenfield Mitchell takes you on a journey to a place far away from our western philosophy. I wish Boi’s story became mandatory reading for young people everywhere so they could appreciate their advantages. I know it made me appreciate the many opportunities I have enjoyed. My name is Lance Greenfield Mitchell. Before you ask, my natural father’s name is Greenfield. My Step-dad’s name was Mitchell. So, I changed my name by deed poll when I left school, from Lance Greenfield to Lance Mitchell, to avoid confusion. My Step-dad, whom I loved, died. I eventually got back in touch with my real Dad, who, unbeknownst to me, had been banned by the courts from contacting me. I didn’t know that till I tracked him down. To avoid confusion, I added the Greenfield back in as a middle name. I live in Andover, Hampshire, Southern England, but I sometimes wonder where I am or where I come from! I have visited about eighty countries in my life. I just love traveling and immersing myself in different languages, cuisines, and cultures. Because of family complexity, I attended ten schools, the last of which was HMS Conway, a Naval school in North Wales. I was in the military for 22 years, Royal Navy AND Army (Royal Engineers) before going into technology as a second career in civvie street. I am now a VP of an international software company, and I fly around the planet a lot. What time is it?! I started writing reviews as part of the BBC RAW (Read and Write) campaign a few years ago. There was huge enthusiasm for my reviews, so I resolved to publish a review for every book that I read. I publish my reviews on amazon.co.uk, amazon.com, goodreads.com and waterstones.com. In my spare time, I started writing a couple of novels about eight years ago. They are still not finished! Two years ago, I was part of a group read for a book from the erotica genre, which I wouldn’t normally have read. Not only did I enjoy it, but I thought that I could maybe do better. I like erotica for the double-A. That is AROUSAL and AMUSEMENT. There are very good authors in this genre. One of my favourites is Chloe Thurlow. She’s great! I got so into it that I wrote a couple of short stories and shared them with a select few friends who loved them. They encouraged me to write an anthology, which I have now completed. Two publishers rejected my stories, so I have now self-published on Amazon. I don’t know if my work is any good. I like to think so, but that is for others to judge. If you do take the time to read it, please leave a review. Receiving criticism, good or bad, is the only way that I can hope to improve. My all-time favorite book of any genre has to be “Skallagrigg” by William Horwood. 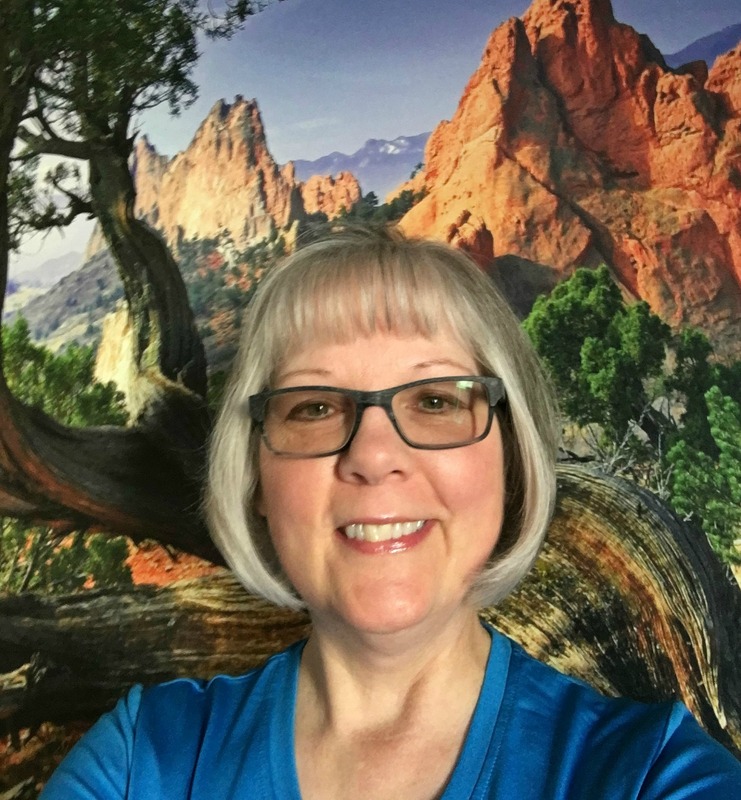 I have three grown up children, six grandchildren, and two great-grandchildren. Hence my comment about being too busy in the opening paragraph. My eldest son is a tattoo artist, and he recently persuaded me to have some artwork on my skin. It only took him ten years to get me into his studio! I now have two tattoos and will have two more very soon. Take a look at the photos on my GR profile if you want to see them. 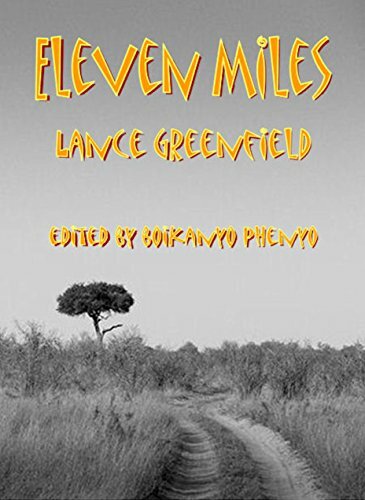 Eleven Miles is a fictional story based upon a true-life situation in Botswana. Until the target of Princess Boikanyo’s School Bus Project is achieved, 50% of all profits from the sales of this book will go into the project funds. In the meantime, please feel free to make additional contributions to this worthy cause by clicking on the project link. Great review, Colleen. Lance has a wonderful way with words. I’m glad to know about this book. Happy Thanksgiving! Mega hugs.